Since the 1970s and 1980s, Monte Verde, Costa Rica has emerged as one of the most renowned sites of nature conservation and ecotourism in Costa Rica, and some would argue, Latin America. It has received substantial attention in literature and media on tropical conservation, sustainable development, and tourism. Yet most of that analysis has uncritically evaluated the Monte Verde phenomenon, using celebratory language and barely scratching the surface of the many-faceted socio-cultural transformations provoked by and accompanying environmentalism. 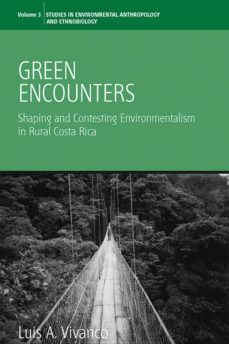 Because of its stature, Monte Verde represents an ideal case study to examine the socio-cultural and political complexities and dilemmas of practicing environmentalism in rural Costa Rica. Based on many years of close observation, this book offers rich and original material on the ongoing struggles between environmental activists and of collective and oppositional politics to Monte Verdes new "culture of nature."